IBM (NYSE:IBM) releases its fourth-quarter results Jan. 22 after the markets close. This marks Big Blue’s first report since announcing its $34 billion acquisition of Red Hat (NYSE:RHT) in late October, a move that initially hurt IBM stock, but has since recovered some of those post-acquisition losses. This earnings report will be divided into two parts. First, how did the business do in the final quarter of the year, and secondly, what’s the plan to integrate Red Hat into the fold? If investors don’t get all warm and fuzzy by CEO Ginni Rometty’s words in the press release and subsequent conference call, you can expect IBM stock to revisit the low $100s in the days and weeks that follow. So, let’s address each of the parts individually, and then I’ll tie it all together at the end. When IBM reported its Q3 2018 results in mid-October, investors were looking for good things from Big Blue. Unfortunately, they were disappointed with revenues falling well short of the midpoint consensus revenue estimate of $19.05 billion. It did slightly better on the bottom line delivering $3.42 a share, 0.6% higher than analyst expectations. Given how disappointing Ginni Rometty’s run as CEO has been, it needed to do better. It didn’t. As a result, investor expectations will be sky high next Tuesday when it reports on the company’s performance in the final quarter of the fiscal year. Analysts are expecting $4.84 a share, down 30 cents from a year earlier, on $21.75 billion in revenue, which is 3.5% less than in the same period a year earlier. On a fiscal basis, analysts are expecting $13.80 in earnings and $79.66 billion in sales. Looking ahead, analysts expect earnings of $13.84 a share, a mere four cents higher than a year earlier, on $79.06 billion in revenue, $600 million lower than in 2018. In the last four quarters, IBM’s had earnings surprises ranging from -0.60% in the fourth quarter last year to 1.3% in the second quarter this year. I wouldn’t be looking for a positive surprise that lights up IBM stock. Instead, I’d be focused on what it says about Red Hat and the way forward. Will Red Hat Ever Pay for Itself? IBM made the Red Hat acquisition so it could remain a player in cloud computing, one of the company’s strategic imperatives. That said, $34 billion — or approximately ten times sales — is a big price to pay to remain a player in the cloud computing business. With Red Hat’s revenue growth of 14% in its latest quarter, IBM is paying premium dollars for average growth. As a result, Rometty needs to fill in the blanks for investors on how IBM intends to leverage Red Hat to re-energize the company’s revenue growth. IBM will have to deliver enough synergies to ratchet up cash flow so that it can repay some of the debt it’s using to make this Hail Mary pass. My InvestorPlace colleague James Brumley discussed the Red Hat acquisition in early November shortly after it was announced. James’ bottom line on IBM stock does a nice job explaining the futility of Rometty’s move. Large acquisitions historically tend to go very wrong because CEOs overestimate both the synergies from a deal and the strategic importance the acquired firm brings to the table. Don’t get me wrong, Red Hat’s a great company, but Rometty’s going to have to come up with some compelling reasons why this isn’t anything more than a last ditch effort to save her legacy as CEO. Personally, I don’t think she can pull it off. On Tuesday, we’ll find out if I’m right. 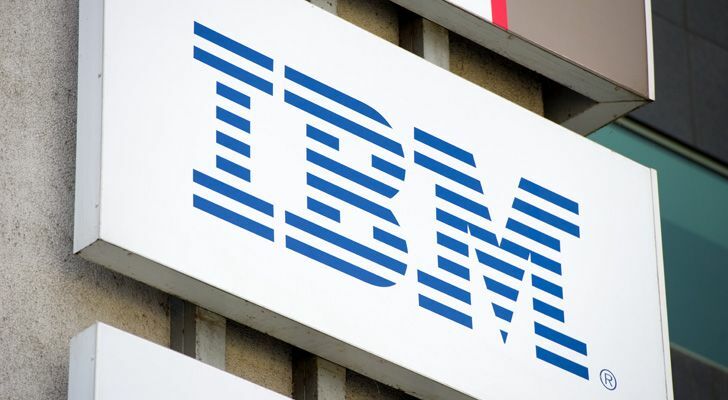 Article printed from InvestorPlace Media, https://investorplace.com/2019/01/ibm-stocks-red-hat-era-begins-with-its-q4-report/.